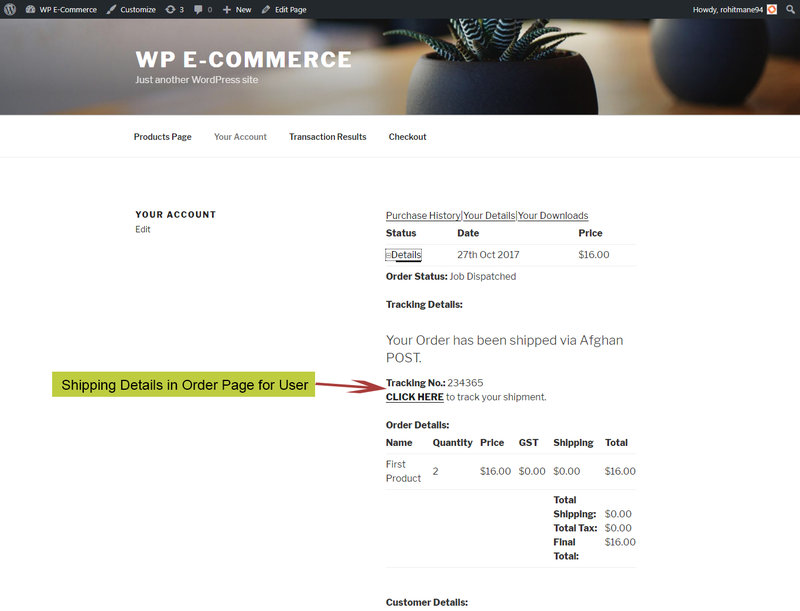 Shipping Details Plugin is a Wordpress Plugin which allows the WP eCommerce Plugin Users to enter Shipment Tracking Number and Display them on Track you Order and View Order Pages. 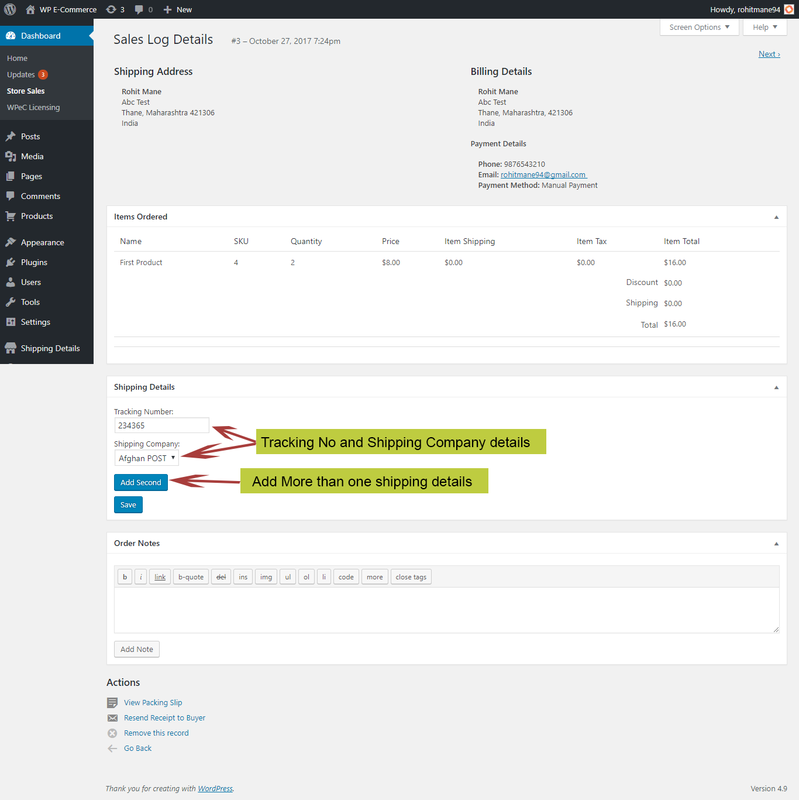 Key Features Adds courier details to all emails sent after adding the tracking numbers. Supports up to 3 Tracking Number Per Order More then 140 Couriers supported. Most couriers support dynamic url so your customer doesn’t have to enter tracking numbers and are taken directly to tracking results page on courier site. Please go through Screenshots for more Visual Information. 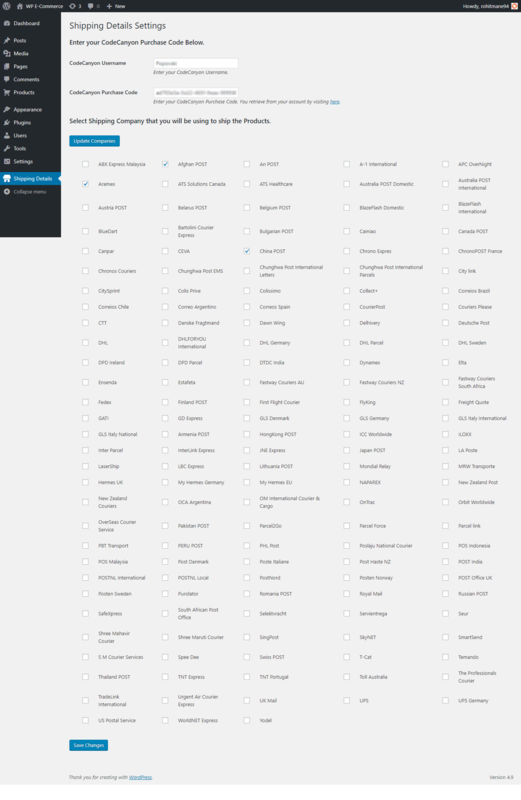 If your Courier isn’t listed but has a online tracking page feel free to contact us and we will see if we could integrate your shipper in the Plugin.